A recently installed SmartScope MVP400 non-contact measuring machine from OGP UK is helping global sealing products manufacturer, Klinger, gain a bigger share of the UK aerospace market. 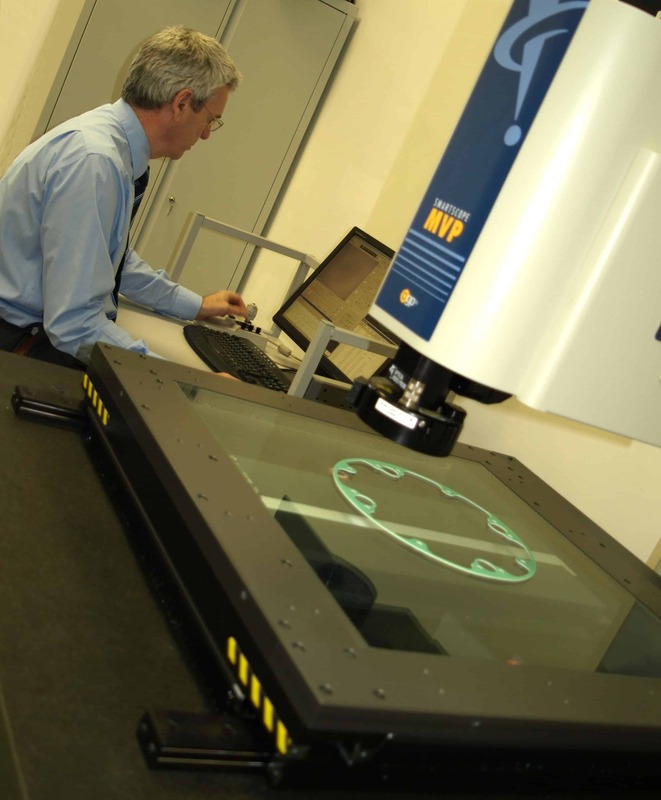 Located within the company’s recently established Aerospace Test Laboratory and Cutting Centre in Bradford, the MVP400 is measuring critical gasket dimensions and compiling vital metrology reports for a select number of high profile aerospace clients as Klinger seeks to grow its proportion of business in this exciting sector. Although Klinger has supported the aerospace sector with sealing products since 1995, the company knew that with carefully considered strategic investment it would be possible to demonstrate greater technical capability and a willingness to meet aerospace requirements head-on. This progressive tactic, which was initiated in 2008, was designed to build on the company’s reputation as a world leading sealing product manufacturer with an established track record in sectors such as oil and gas, petrochemicals, utilities and pharmaceuticals. With this in mind, Klinger visited the MACH 2008 manufacturing technologies exhibition at the Birmingham NEC. Armed with one of the company’s fibre gaskets developed for an aerospace application, Mr Holdsworth toured the stands of various short-listed measuring machine suppliers to identify the optimum metrology solution. Klinger’s aerospace gaskets are manufactured from proprietary compressed fibre sheeting, which is typically a range of asbestos-free, calendered sealing materials based around a number of different fibres and rubber binders. Such materials are inherently flexible and as such, only a non-contact method is suitable for measuring purposes. SmartScope MVP measuring machines are fully automatic and use colour camera, precision zoom optics and programmable LED lighting for repeatable non-contact measurement (an optional touch probe can be added if required). Features include OGP’s patented SmartRing™ illuminator and OGP’s edge detection technology to accurately and quickly measure even the most complex of components. Measure X metrology software is easy to use yet has all the sophistication and technology needed for the most challenging of measurement tasks. Features are selected with the simple click of a button and inspection routines recorded automatically. Result data can be supplied in various formats, while outputs can be readily customised to negate further administration. Together with a CNC knife cutting machine that was installed around the same time (May 2009), the SmartScope MVP400 at Klinger forms the hub of the company’s Aerospace Test Laboratory and Cutting Centre at its UK headquarters in Bradford, where 80 of the company’s 130 UK employees are based. By application, the fibre aerospace gaskets are required to be more accurate than the metallic counterparts manufactured by Klinger for other industries. Part of the problem for Klinger is that because the gaskets are not produced by a tool, aerospace customers presently insist upon 100% inspection. Batch sizes can be up to several hundred, in which case, they can be very time consuming to measure. However, there is a way forward. Although the company is already a leading supplier to some major players within the aerospace industry, business within this sector is currently described by Mr Holdsworth as a “small but significant” part of the company’s £24 million annual turnover. However, following its investment in new machines and resources, the percentage of aerospace business is set to increase at this pioneer of industrial gasket technology.